High quality round badge reels, which conveniently stays in place when the reel is retracted. This ensures your ID won't twist as you wear it. This is perfect for employees or anyone where it is important to have your badge facing forward. These badge reels are available in a great array of both translucent and solid colors. 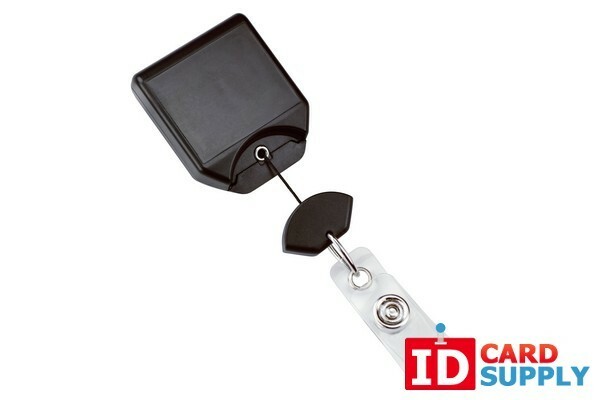 The badge reels include a clear vinyl strap, with a cord measuring 34" which makes it easy to extend your ID/access card. The reel diameter measures 1-1/4"